My goodness I had absolutely no idea how this event would go. 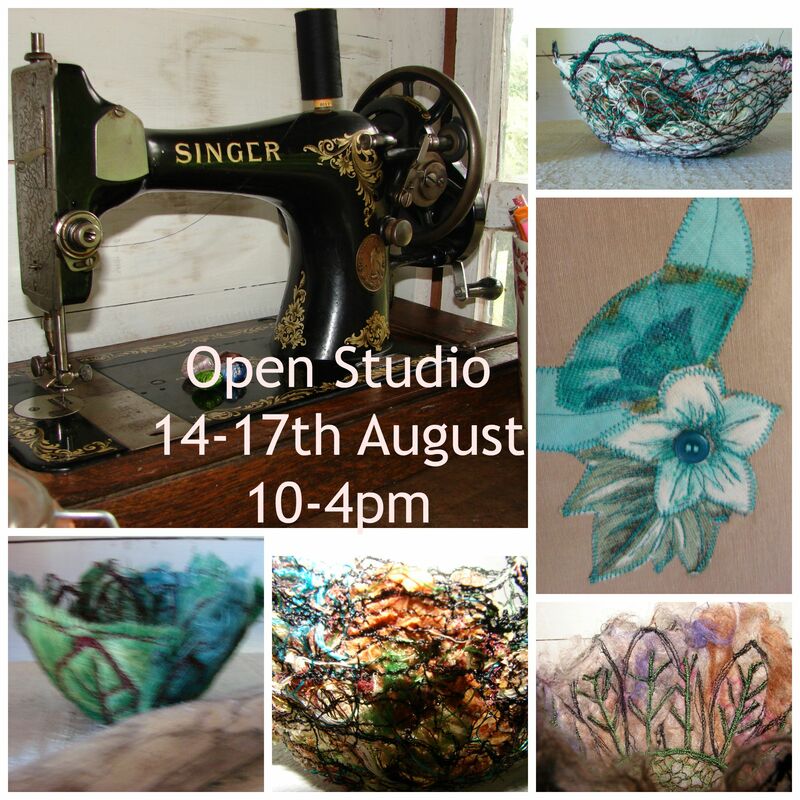 I had heard mixed stories from artists who had been part of Arran Open Studios before so I decided to take it as it came. That may not, however, been the best plan as I am quite sure I resembled a rabbit in the headlights throughout the entire four days. From the minute the studio opened on the Friday I had visitors and a constant stream followed them for the entire duration of the event. So much for getting some beading done! 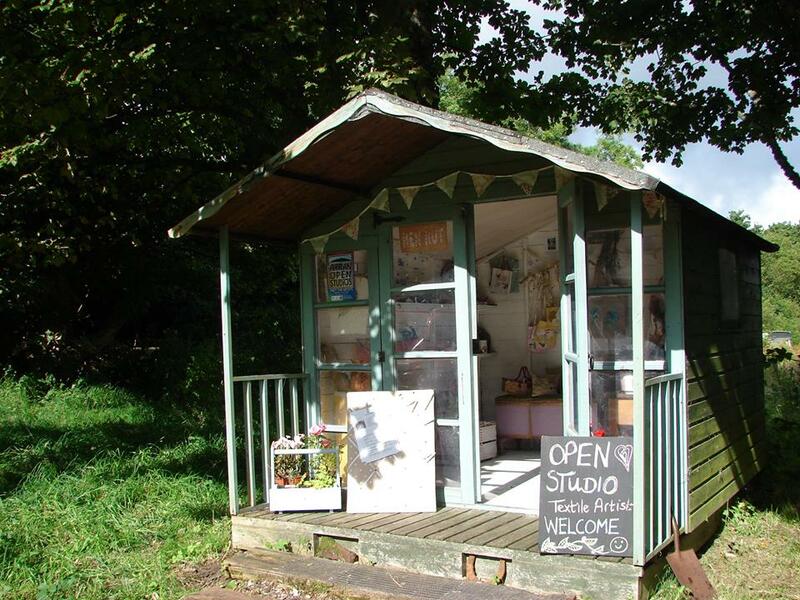 I am not grumbling but you do need to see my studio to appreciate the slight problem this many visitors can cause. It is not very big but it does me nicely. At one point we had seven people crammed in to hear the wee talk I gave on the processes I use to make my work. 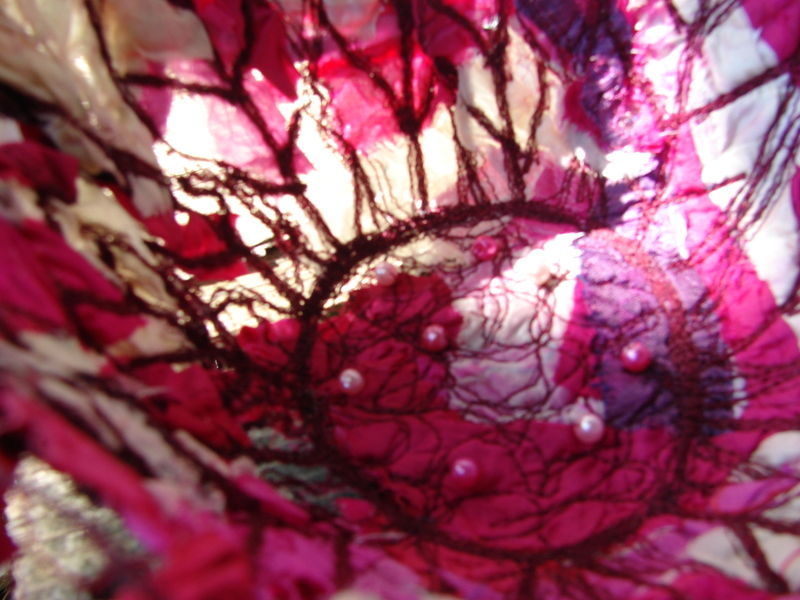 As this was my first exhibition of my three dimensional free motion machine embroidery I was really seeking feedback. People were incredibly generous with their time and feedback and I was deeply humbled throughout the entire process. For those who don’t know the journey it began in January when I decided to enter this event and paid my fees. 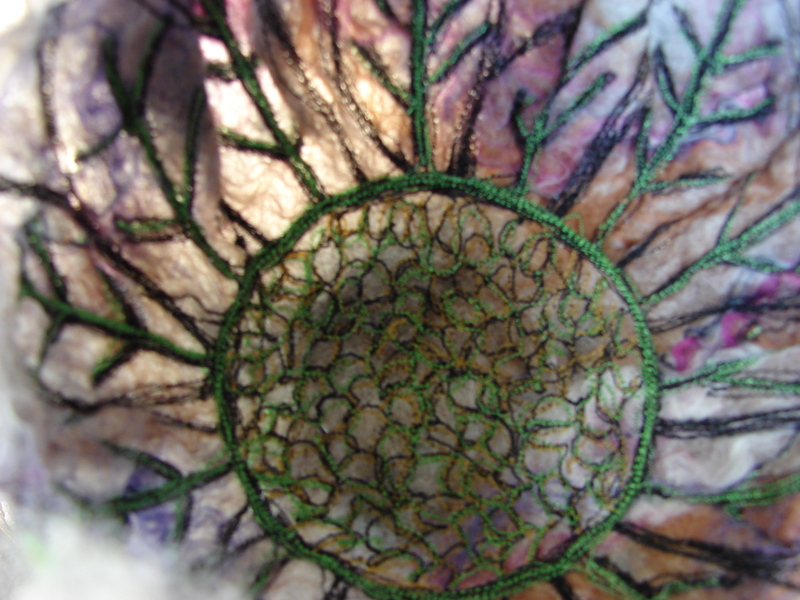 I knew I had until August to attempt to create some art using my sewing machine. Had I known back then that it would take four months to master and refine the process I might have booked for next year! 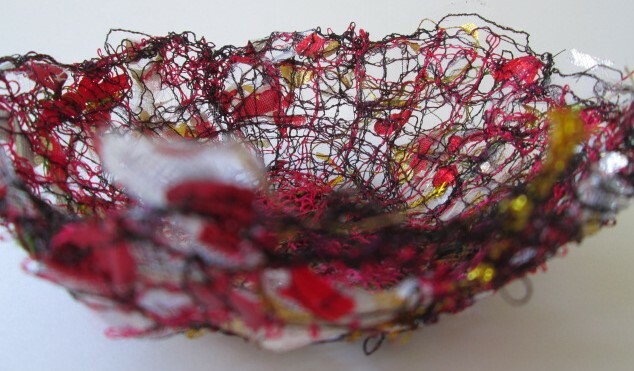 But in April I had my Eureka moment when I finally liked what was coming off the machine and my first wee bowl was made using waste thread and shredded fabric. Sensible people might have just continued to use this formula going forward but I am not sure I have ever been sensible. 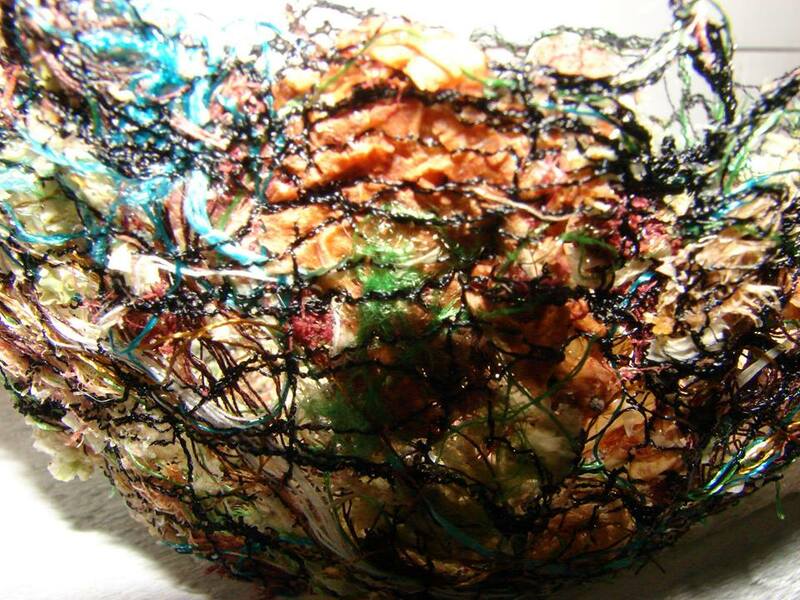 So between April and August I experimented with a range of both natural materials and waste materials so see just how far I could push my sewing machine and my creativity. 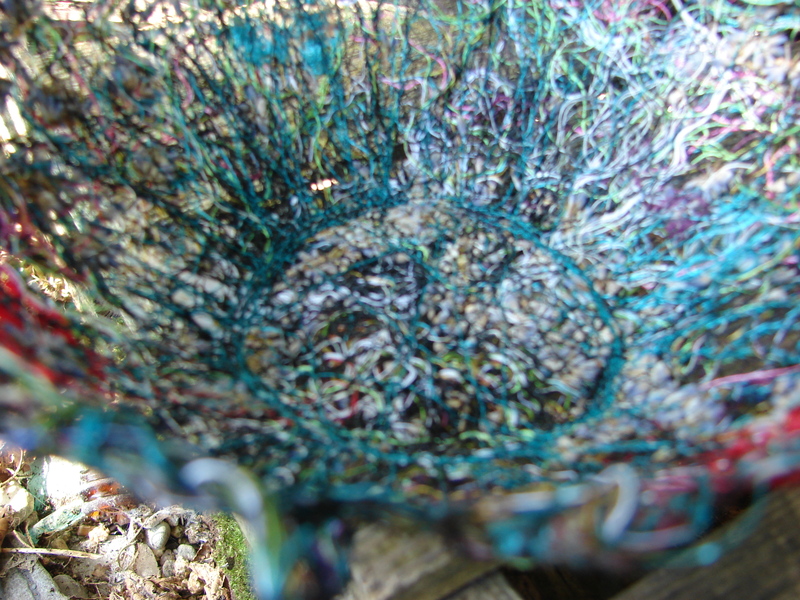 I must admit that when working with seaweed my sewing machine sulked for days afterwards…. Out of 65 attempts just 11 bowls made the exhibition as I was determined to only show the best of the best. I was also keen to show a wide range of materials in the making of the bowls and feedback on this aspect was always going to be vital. I priced them very last minute with no real sense of how to do that and was not prepared for any sales. Two mistakes wrapped up in one. From the very first set of visitors came the very first sales and in those sales I saw the power of art. If people see what they want they know they have seen it and they want it. It is a simple formula for decision making as they know they will never get that chance again. Each of my bowls is unique and that is vitally important as I shift from craft to art. Each piece has its one narrative and its own integrity. That all sounds excellent but what I also hadn’t anticipated is how attached I would become to each and every bowl. So when that very first bowl walked out of the studio in the clutch of someone else I took a sharp breath in before reminding myself how much it was loved. Every bowl featured in this article has sold and has a new home now…. So as the four days unfolded in a blur of visits and sales I was also unprepared for the significance of commissions. Putting a wee notice up saying commissions welcome is a reflection of my experience in my craft business where people will give me a piece of fabric with a family history and ask me to make something with it. Commissions are not new to me but art is and there lay the problem. When I was commissioned for the first time early in the event I must have look terrified as the potential customer put her arm around me to comfort me! But a sensible conversation later and I felt more confident but also incredibly humbled to be asked. I start with sketching with pencil before I go anywhere near creating a two dimensional pattern of a three dimensional bowl on fabric. So, it seemed sensible to send sketches to the customer for feedback and that is just what we have agreed to do. With this approach I hope she will have involvement throughout and her own creative investment. Flutter of nerves in my tummy…. One chap said to me ‘you have asked for feedback and you have received the very best of feedback so what are you going to do with it?’ Of course I couldn’t answer that fully except to say that I was interested that all the bowls had been appreciated and that the range of materials allowed the bowls to ‘speak’ to different people. But I knew where he was heading. He wanted to hear a commitment from me that I would be pursuing this work and even told me he would be back in a year to see how far I had got. I felt a hint of my late father in that comment. Just as the sales were continuing and the people footprints were increasing in walks a wee delegation from a local art gallery. Without hesitation it was affirmed that they would like to feature them in the gallery before passing advice on what is most likely to sell in their context. This included making some larger than my current largest bowl which will retest the process once more. I found myself smiling at the challenge. They also informed me that I had massively under-priced my bowls. Going forward they will be available to advise. I have worked in the craft industry most of my adult life and will never abandon my roots but just at this time I need this challenge. 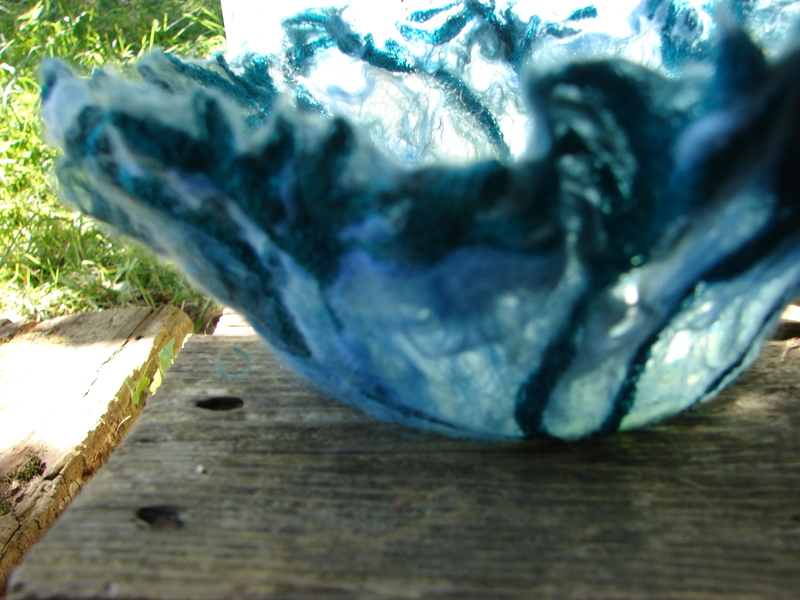 I need to explore further the creation of bowls using materials that are both unexpected and beautiful. When I started writing a blog every day for a year back in 2013 I very much felt that that was something I needed to do and look what that lead to. But I move forward with my bowls with no real sense of expectation and an appreciation that I am on a massively steep learning curve. I see those as life enhancing positives though and you just know I will document it here. May I just take this opportunity to thank everyone for their incredible support leading up to and during this event. In particular my beloved family. There have been tears from me on more than one occasion and a feeling that I should walk away but they all believed in me and the darling bowls that began to emerge. I would not have made this event without them and I think they know that. In addition there is one woman who taught me to use a sewing machine when I was just 11 years old and right about now she would be smiling down at me and my precious bowls. Thank you to my gorgeous late Grandmother, Ella Stevenson. If you want to read her story you will find it on this PAGE. Previous postEmbroidered bowls find their place.